Start off the eagle season the right way by attending the Alton Audubon Eagle Ice Festival and enjoy free games with your family and friends. 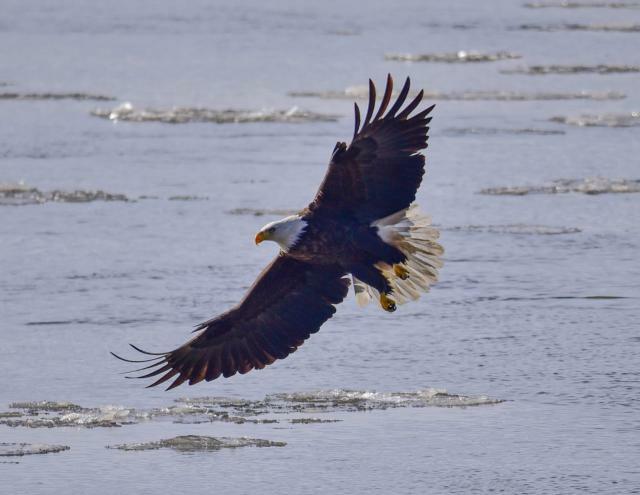 The annual Alton Audubon Eagle Ice Festival is being held at the Alton Visitor Center, where you can see an American Bald Eagle in close range. Next, go across the river to The Audubon Center at Riverlands and learn about eagles and their habitat. Then, take a shuttle ride (only $5 per person) on an adventure looking for eagles. Admission: Audubon Eagle Ice Festival activities are free of charge, shuttle tours are $5 per person. The award winning BEALL MANSION An Elegant Bed & Breakfast Inn is only 4 minutes away from the Alton Visitor Center, Book a room NOW for a an incredibly relaxing and memorable weekend! For more info visit Alton Audubon Eagle Ice Festival.